Anyone who has ever seen a spider creep across the floor or ants invade the kitchen cupboards knows that pest infestations are unpleasant and uncomfortable. You want these creatures out of your house ASAP. 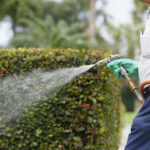 While it may seem easy enough to buy pest-control chemicals and handle the problem yourself, there is a lot that goes into the process of permanently removing unwanted visitors from your home. If you try it yourself, you could end up spending more money than you would if you brought in a professional – and see much less success. Take a look at these 3 benefits of hiring a pest control company to treat your property for unwanted pests today. Pests are more than just creepy – they also bring hazardous bacteria and harmful risks into your home. Cockroaches carry E. coli and salmonella on their bodies, and can intensify problems related to asthma and allergies. Tick bites can cause Lyme disease, which results in severe fatigue, rashes, and extreme illness. Ants often contaminate food, while we all know that wasps and bees can sting. The dangers are elevated when pests are found in greater numbers. A single colony of stinging insects may contain tens of thousands of bugs that will attack if their nest is threatened. Trying to self-treat an infestation of stinging insects is life-threatening, especially if you are allergic to insect stings. And it’s not just the pests that make DIY pest control dangerous. Misusing potent pest-control products because you don’t have any experience with them can damage your home or make you and your loved ones seriously sick. These products contain dangerous chemicals. Pest control companies know what they’re doing and can remove pests without posing any health risks to you and your family. Eliminating pests yourself probably won’t be the time-saver you think it is. A professional pest control company will provide more effective and faster results than if you attempt to control the infestation yourself. That’s because professionals have more experience and access to products that aren’t available for consumers to purchase. Ridding homes of unwanted pests is what Adios Pest Control does day in and day out. A professional company can assess the situation and take actions in a timely manner depending on the severity of the problem. Termites are found in nearly every state in the country. They cause American homeowners about $5 billion in property damage each year. As wood-boring pests, termites can compromise the structure of your home, and this damage may not be covered by your homeowners’ insurance policy. A licensed professional can spot and eradicate termites to protect your property before the damage gets out of control. It’s not just termites that can cause destruction to your home. Carpenter ants, carpenter bees, and powderpost beetles are also wood-boring insects that can cause serious damage to wooden structures. Bed bugs can even infest your furniture, mattresses, carpets, and clothes. Hiring a pest control company can save you money by eliminating problems at an early stage so you don’t need to repair and refurbish your home. The popularity of do-it-yourself measures has risen drastically in the last decade as people try to save money, and pest control is no exception. But some things should be left to professionals, and we strongly believe that pest control is one of those areas. Controlling pests is a job that requires care and needs to be done in a way that protects you and your property. 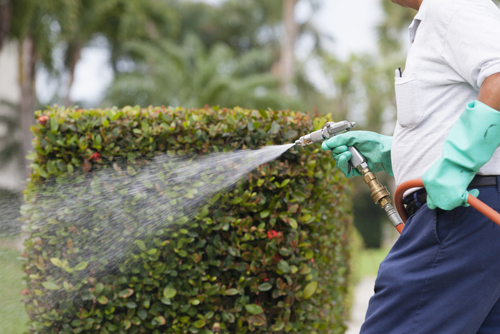 Pest control professionals do not haphazardly purchase and apply products in your home. They know what is best to use and select products based on research. They investigate the methods that are the most effective and access properties before they begin treatment. Contact Adios Pest Control today to speak to our expert team about your specific pest control needs.